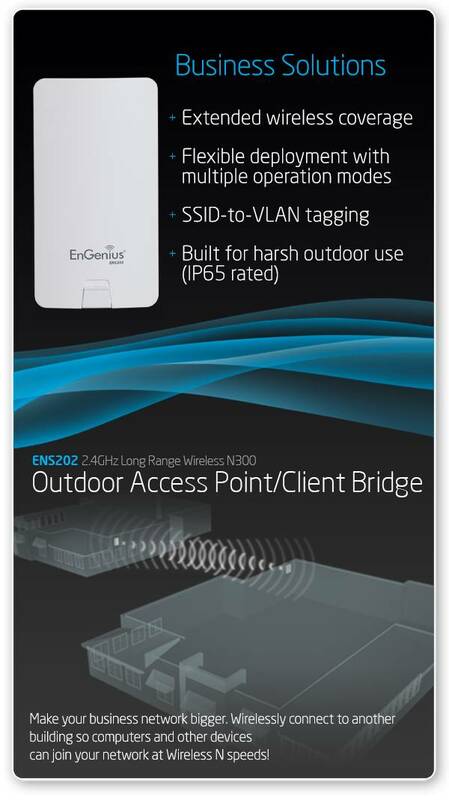 ENS202 is a high-speed, long-range outdoor 802.11n Wireless Bridge that operates on the 2.4 GHz band and is an ideal solution for building-to-building wireless bridging, for stable streaming of video from connected IP security cameras in parking lots or garages back to a company network, or for sending data to outdoor digital signage. The ENS202 is compliant with the IEEE802.11 b/g/n standards delivering a wireless data rate of up to 300Mbps. It features an internal directional 10 dBi MIMO (Multiple In/Multiple Out) antenna that coupled with its strong transmit power of up to 400mW makes the ENS202 a compelling performance solution for small and growing businesses at a very affordable price. The ENS202 can also be used in other operational modes including as an Access Point. 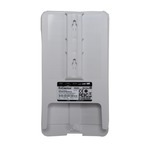 When used as an Access Point it should be positioned in such a way, because of its more focused directional antenna signal array, to offer wireless network connectivity to a more defined outdoor venue rather than a more general outdoor area around it. The high transmit power ensures robust signal to achieve longer range and offers superior wireless network coverage over other brands. 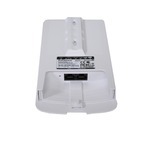 It is ideal for Point-to-Point wireless bridging to other buildings. 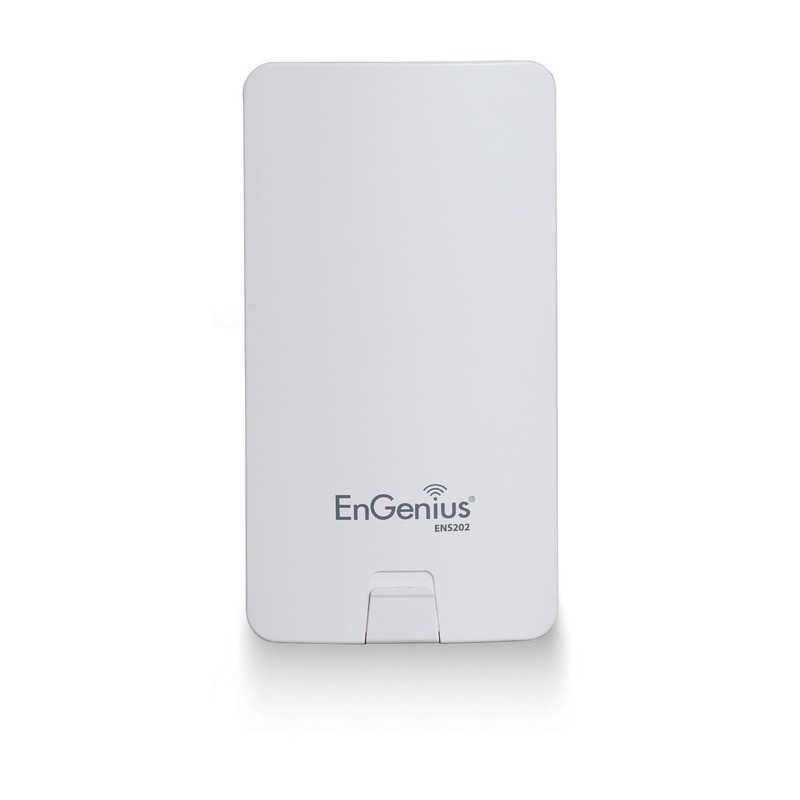 The ENS200EXT have built-in directional high-gain antenna with Multiple-Input and Multiple-Output (MIMO) antenna technology and dual polarity design allows adjustment to the environment. Broadcasts up to four (4) SSIDs and SSID-VLAN binding feature permits different levels of company network access. Dimensions (in. ): 7.3" x 3.9" x 1.14"